Dance by dance, the seniors led me through a tale of history that helped me get to know them and their passion for dancing. 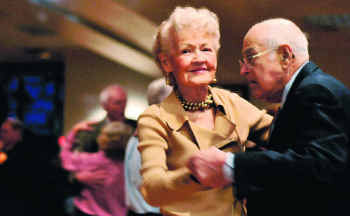 Many of the seniors said they dance to remind themselves of days past, to stay healthy and to fulfill their need for companionship. Click here to read my story and a related blog post that my colleague Leslie Garcia wrote.